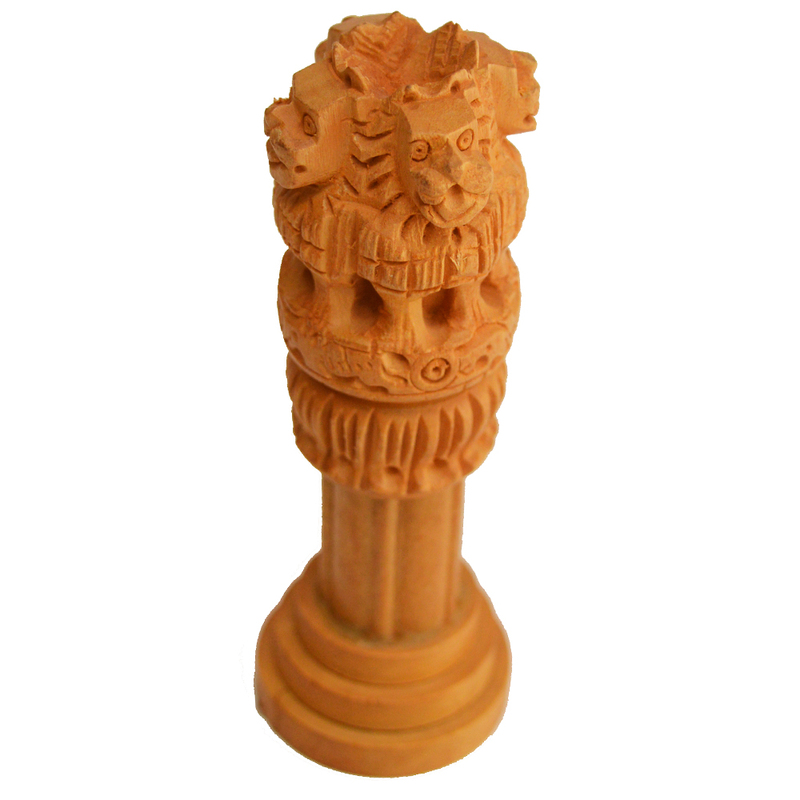 This Miniature Wooden Ashok Stambh is sure to impress with its amazing level of detailing, which makes it ideal for adding to the visual richness Read More..of any home interior. The incredible detailing present on this piece is sure to amaze all beholders to make it the centerpiece of any room it adorns. Moreover, its exquisite carving serves as a reminder of the quality and rich tradition of various ethnic art forms, as well as, providing an excellent opportunity to the buyers to make the national emblem an integral part of their home décor. Show Less..